Yesterday, while my men were cutting and chopping wood in the yard, they happened upon a small nest that had been lifted from its perch in some tree. 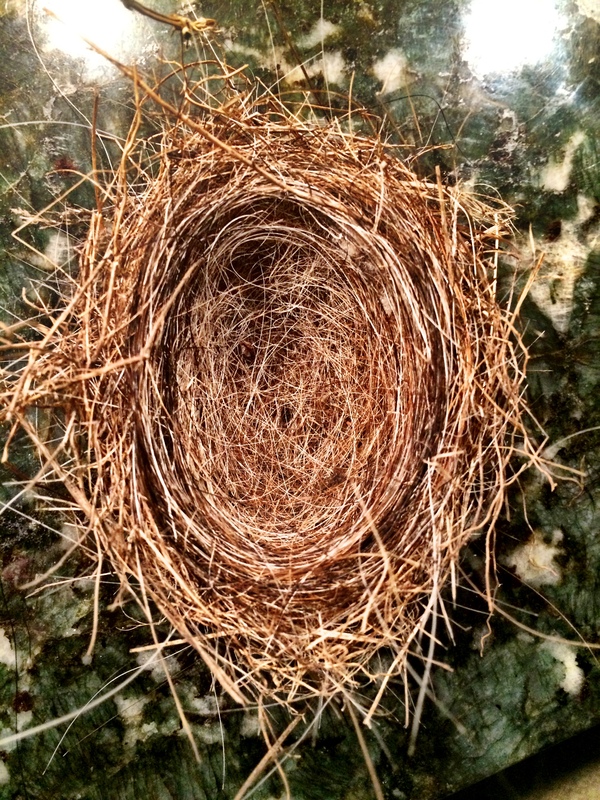 Dropped among pine needles and dead branches that the trees had let the wind comb out of their midst was a still perfectly formed nest. Hubby pointed to the nest when I came out to check on their progress. He had placed it upon a log so that he wouldn’t forget to show me. As I approached it to inspect, I asked if he was thinking that we should keep it to place in our Christmas tree with a few others we had collected over the years. I noticed his stance softened from the flexed working one as he said to look at the makeup of the nest. “Check it out, I think they used Bullseye’s fur to make it” he relays. Sure enough, there are strong black and white hairs that we saw so often when our old dog was alive. Sure, it could be from another animals hair, but whether it came from our dog or not, it is a beautiful reminder that it is sometimes the littlest things that pull at our heart strings and allow us to think of someone. It also made me think of the times when there was some little thing that reminded someone of me and they took the time to share that with me. I myself was touched this summer when we had been unable to join in a camping trip with friends and a photo was sent to me. 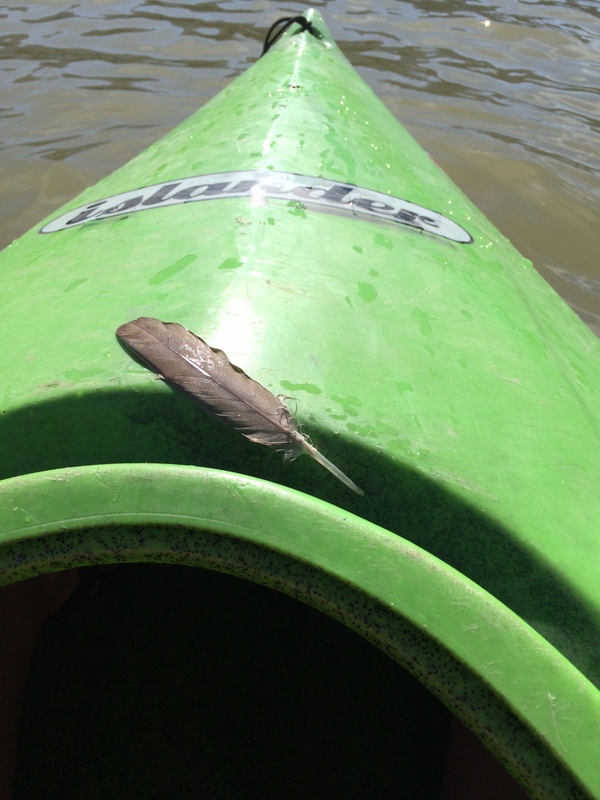 They had been kayaking in a lake when they happened upon a feather and picked it up and kept it with them as my symbolic attendance on that trip. There being enough feather stories from me that it fit. To have the photo and story relayed cured the pain of not being able to go and made me feel loved and missed. 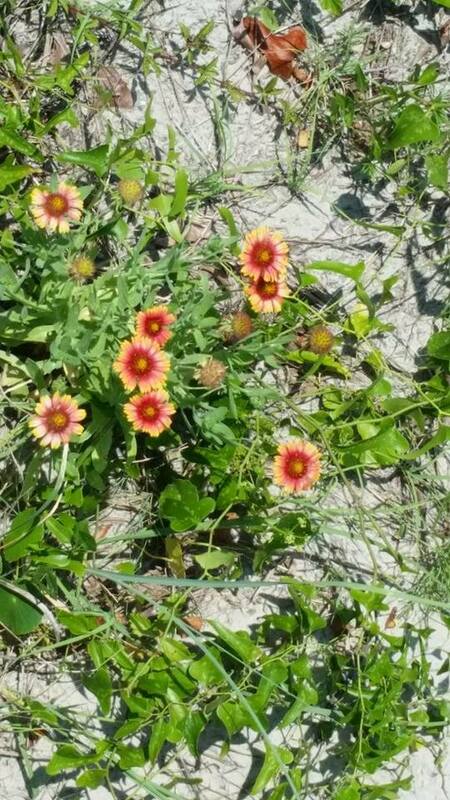 Another moment shared with me that brought a huge smile to my heart was when a cousin came back from a beach vacation in June and messaged me that she saw these on the walk to the Atlantic and had thought of me. We had never been to the beach together. It was just the same flower that I had also taken the time to stop and photograph one day and share. 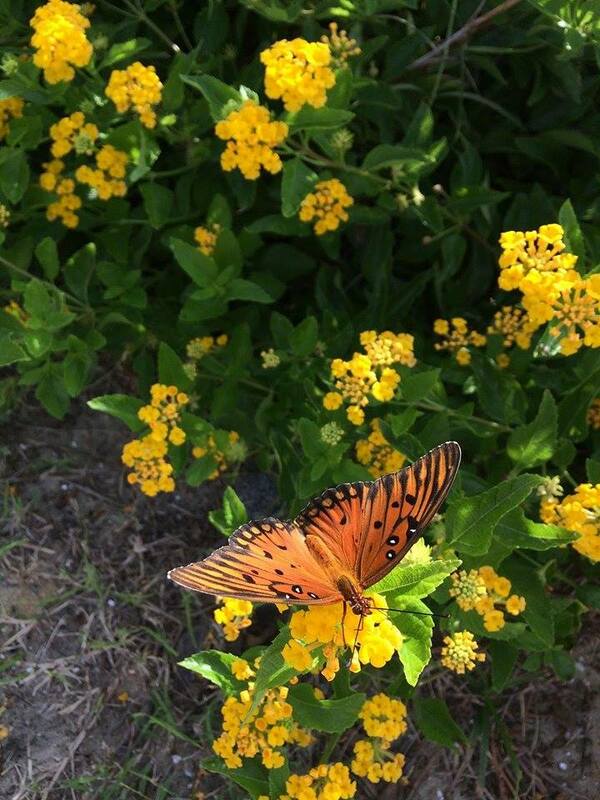 The lucky duck cousin went again to the beach in September and messaged me once more that she had seen hundreds of butterfly and took the time to send me another photo with the message that it reminded her of me once more. 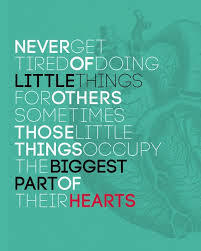 When you don’t just have that thought of how that song, or picture or stupid joke reminds you of someone, but you actually reach out and tell them, that is the little reminder that makes everyone’s day. It’s a blessing to be thought of and hear about it.